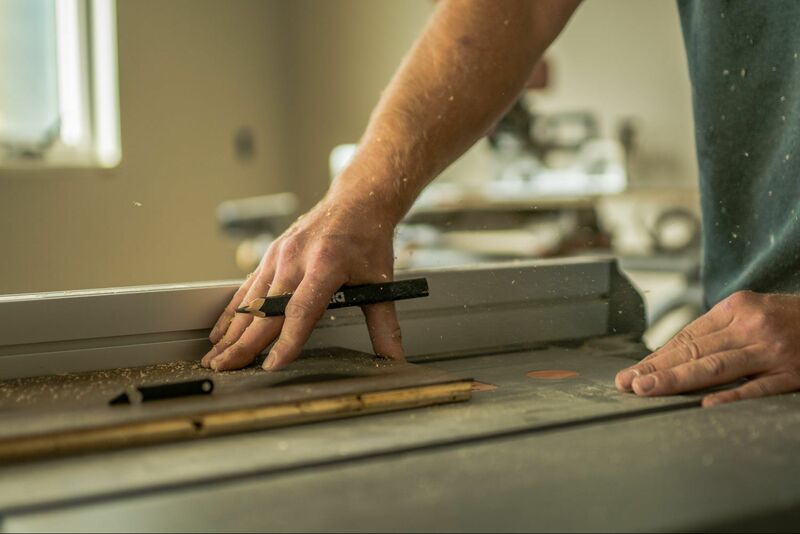 Winston Brown Remodeling has been a leader in the remodeling business for over 40 years! 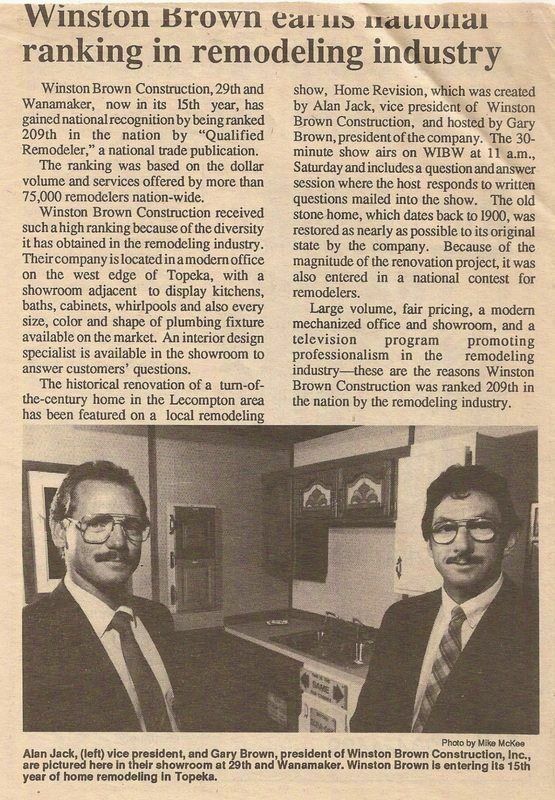 In 1974, Winston Brown Construction was founded by Gary W. Brown in Lawrence, Kansas. 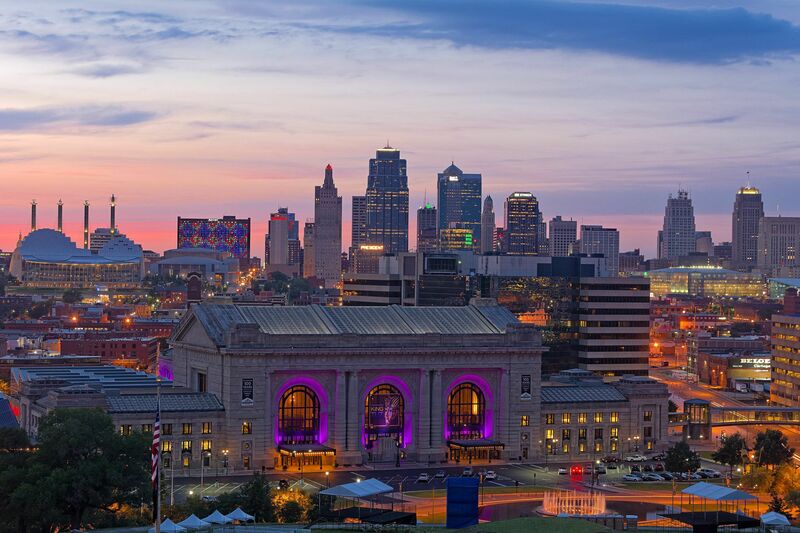 Five years later, the company expanded offices and opened a location in Topeka. 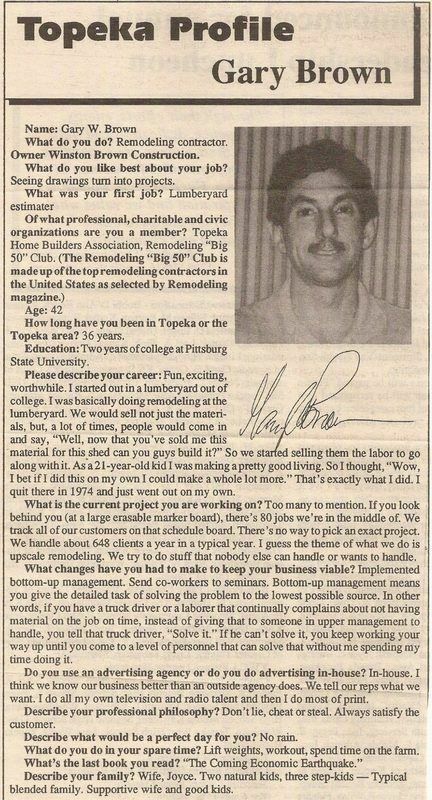 Over the next 40 years, Winston Brown has become the leader in remodeling Topeka and Lawrence. Jake, Gary's son, took over the Topeka location in 2007 while Gary continues to run the Lawrence office. 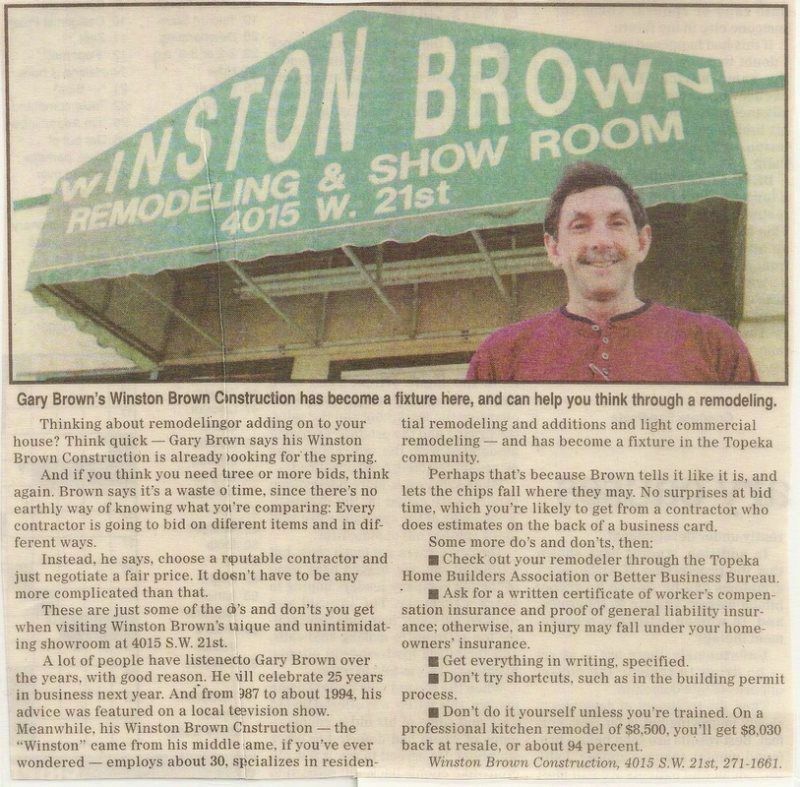 Over the years Winston Brown has received numerous awards and recognitions on both national and local levels. 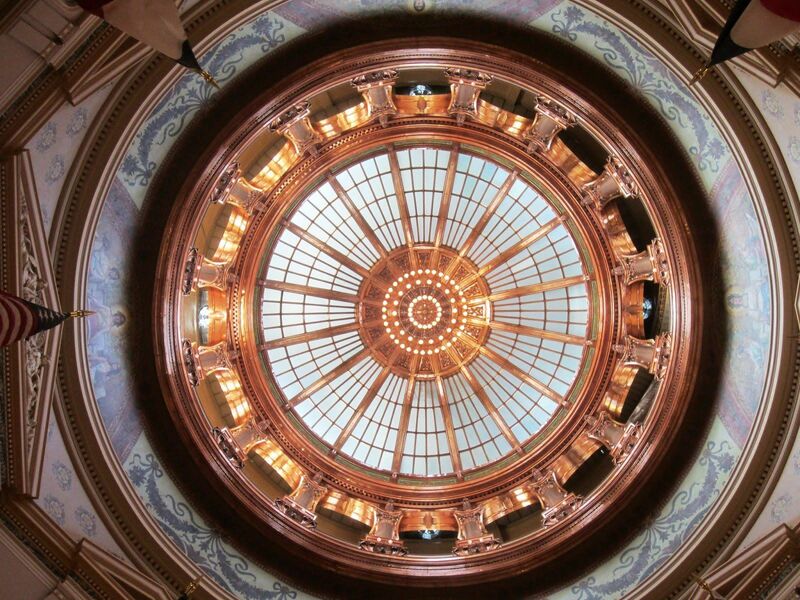 We have been recognized as one of the top remodelers in Topeka by Qualified Remodeler's Top 500. 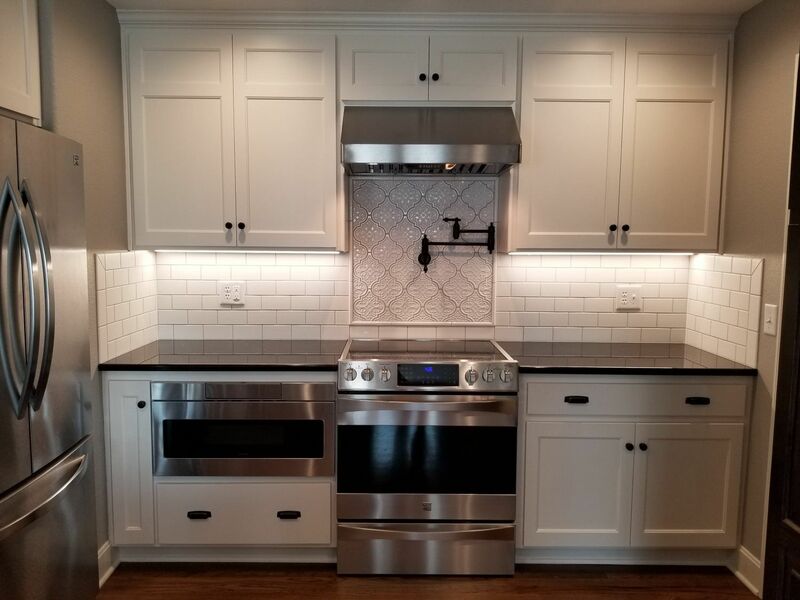 Winston Brown Remodeling has also been named finalist and winner of the Chrysalis Award, one of the most prestigious awards recognized throughout the remodeling industry and around the country. Most recently, we have been voted 2018 "Best Of Customer Service" Award by Houzz.com, 2016 Best of Topeka by Topeka Capital-Journal, 2015 Topeka's Favorite Remodeler by WIBW. 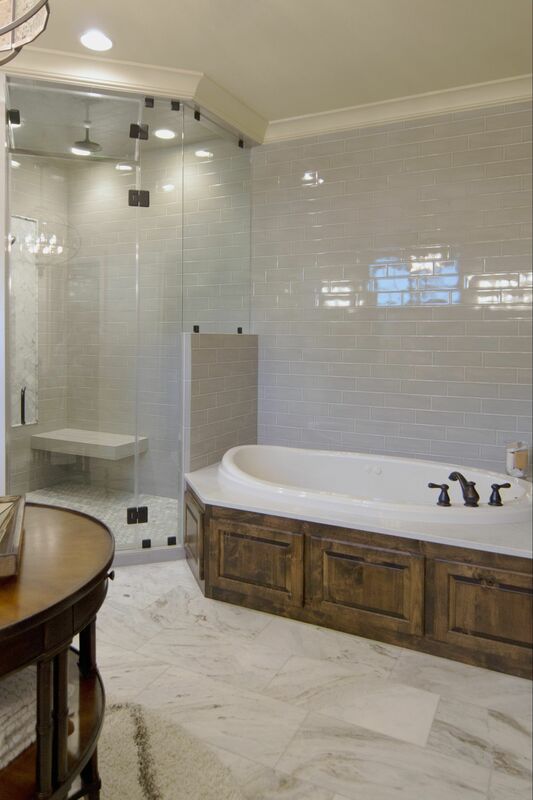 Winston Brown Remodeling solves your home improvement needs, while staying within your budget. See our testimonials and see what our customers are saying!